One of the elements of Haft Seen is Sabzeh, sprouts. Sabzeh is actually one of the first things that are prepared for the spread as it takes a couple of weeks for the sprouts to grow into a nice height. There are two types of sabzeh, one that is done with wheat and the other is done with lentils. For the sake of having my Sabzeh ready by the time I had decided to post this entry I began the process two weeks ago. Here is a step by step tutorial on how to grow Sabzeh. Place wheat seeds in a bowl. Make sure that you use unpelted wheat. Add water and let soak for 2-3 days. Make sure to change the water daily. This picture was taken on February 21th. After soaking the seeds place them in a platter. You will notice that little white sprouts are sticking out of the seeds at this point. Picture taken on February 24th. Cover the seeds with a moist paper towel. Lightly sprinkle the seeds with water once a day for the next 2-3 days. Make sure that the paper towel is always moist. You will notice that the sprouts begin to grow. Continue to sprinkle with water every day. Make sure that the platter is not drenched in water as this can ruin your sprouts. Place platter on a windowsill. Once the sprouts grow to about 1/2 inch it is no longer necessary to cover them with a moist paper towel. Picture taken February 27th. Continue to sprinkle daily with water. Picture taken March 1st. As the days go by the sprouts grow longer and turn into a darker green. Picture taken March 2nd. Look at this beauty! Looking good and healthy as of yesterday March 4th! I would suggest starting the Sabzeh process as of today so that you can have a nice looking Sabzeh by March 20th! 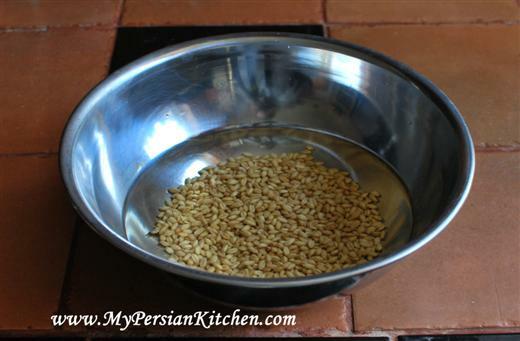 Thank you for this great blog, I’ve never made sabzeh with wheat, this year I’m going to try it. Yours looks great. I also like the deep dish that you have them growing in. I bet your sofreh haft-seen will look amazing. Birdette, thank you for your sweet words! I usually made lentil sabzeh but this year I decided to do both. Give the sabzeh a try and let me know how yours comes out!! Looks good…though I like the sprouts from the lentil and barley better than the wheat !!! They are prettier and softer looking…. this evening (Friday, March 5). I have a question: what about sunlight or light during the soaking and (paper towel) periods? Brisa, during soaking it doesn’t really matter. But you can definitely start with daylight when they are covered with paper towel. Just make sure that they are not too dry or wet. Good luck! Hi, thanks for the instructions! I was really excited to try this and ended up soaking the entire bag of wheat seeds and filling a very large bowl without realizing that only a small amount is needed. 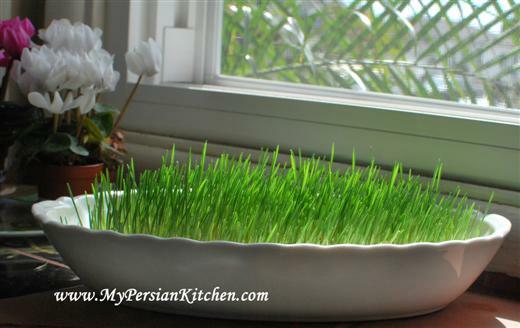 I guess I can plant some in soil and keep growing it past Norooz for some greenery. 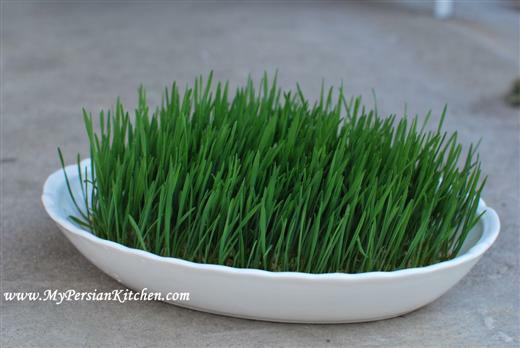 Haha, are there any Persian recipes that use wheatgrass by any chance? Renata, You can place Sabzeh all over your home!!! 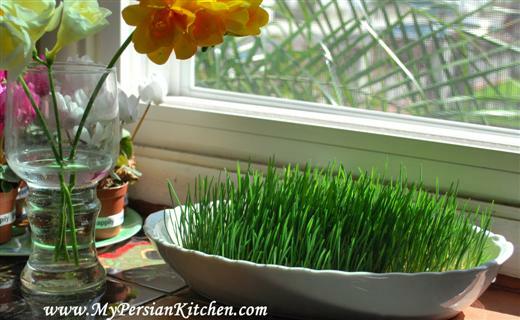 I don’t know of any Persian recipes that use wheat grass but I suppose that you could make a shake with it! Thank you. 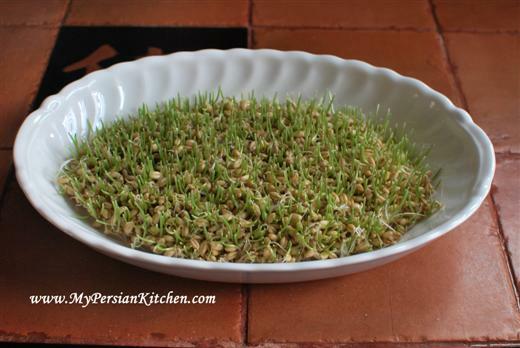 I love growing sabze for norooz. I like lentils, wheat or mung beans also. I started my sabzeh seven days ago, so far everything is going well, except that the sprouts look yellow green. What did I do wrong? Too much watering? warm temperature? Please help. Amitis, I think this might be because it might have been getting too much water? Is the sabzeh placed where it gets sunlight all day? Perfect, I am writing a post on traditions, Iranian culture and I will be linking to you on my Sabzeh definition because this is a great article. Thank you so much!!!! Farnoosh, thank you for linking back to me! Is there anything particular about lentil beans I should watch out for? For example, does the size or variety (green vs. yellow) have any influence? Thanks and keep up the beautiful posts. How can I grow sabzeh on a kozeh(pitcher). Your pictures are amazing. Very good explanation. Azar, I have never done it before, but one of these days I do want to try it! I am soaking the wheat seeds, and they appear to have exploded. Will they still grow? The seeds expanded in size greatly. Greg, they first expand because of the water that they absorb. Then once you take them out of the water they start sprouting. what will you do once the sabzeh have grown? How exactly do you make a wish? Hi, would it be possible to use your website pictures for educational purposes and distribute them as hand-outs? If so, do i need to refer to your name and site? 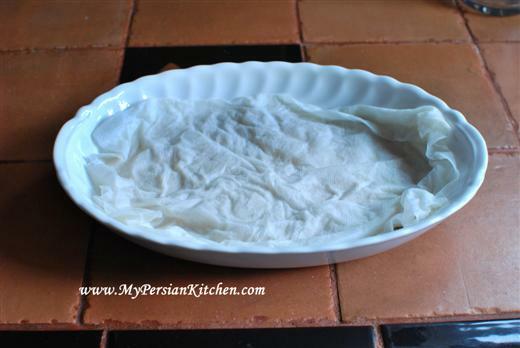 Cool Post i am american and ABSOLUTELY LOOOOVVVEEE persian food. my stepdad is from Iran and he would make the dish for me, my mom and my siblings. i dont know how to make this dish and since my step dad is no longer here, i would like to know. i want to make it for a rememberance of him and his culture but cant because i dont know how. HELP! Mahi, sure you can, however, please be sure to give credit back to the website. 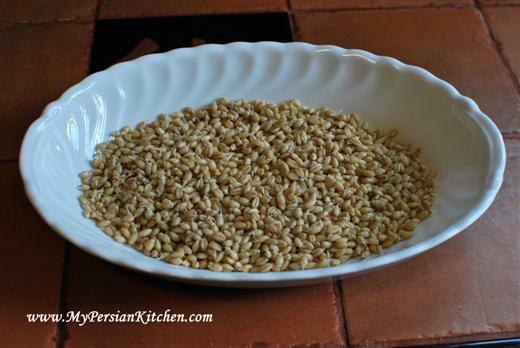 Hi, I actually looking for wheat seed for Norouz, do you know any place that I could find it? I’m in Oceanside, CA. I have referred to your website many times in the last year for some recipes, but this is the first time posting a message. 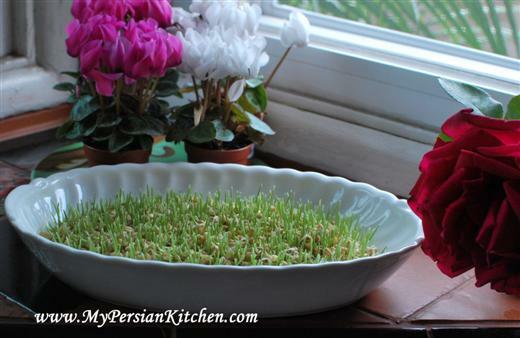 I’ve been married to my Persian husband for almost 22 years, but I have yet to master growing the sabzeh for Norouz! Both of us actually haven’t had much luck with the wheat (gets too moldy), which is shy we grow lentils and mung beans instead. However, I am trying the wheat again per your growing instructions. Our kids love celebrating Norouz. Wish me luck! 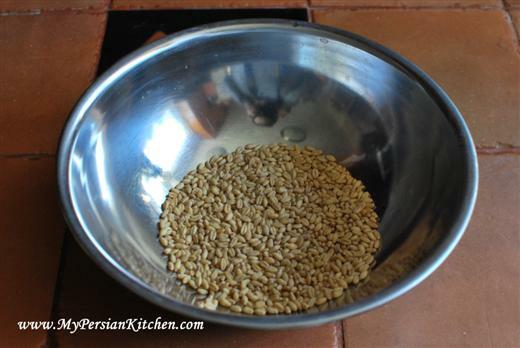 Arash, there are a whole bunch of Persian stores in San Diego that have wheat seeds. Aliya, perhaps you soaked them for too long or they are not getting enough sun. Fantastic site! Great set of instructions. I am trying to grow some wheat now, hope it is ready in time. Thank you for information in this category of growing sabzeh. I wonder if you teach us how to grow sabzeh on the clay vase. Kombizz, I think about it every year to do it…then it falls off my list because of all the other stuff that I share. But yes, sometime soon I will have it! Can you write Persian for me how can I grow sabzeh? Hello dear, thank you for your lovely website. I got so happy when I found it. I’m trying to make sabze. It’s about 1 week that I’m having them in the water, but they haven’t been grow yet. Beside I was not able to change the water at first 3 days. They just got cooked and very soft and stinky. I washed them again and put them in another plate. Under the sun . Sound little confusing . Would you please help!!? Lili, they should only stay in water for a couple of days. Then they should be placed in a plate with a damp towel over them until they begin sprouting. 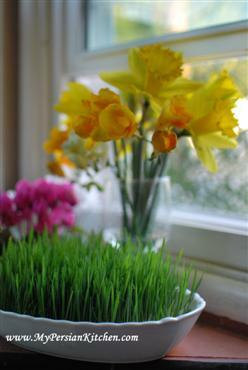 When is the best time to start growing the sabzeh, so it still looks nice for Nawruz? You say end of February but my aunt says March 9th. Thank you! you may want to try MUNG BEANS (maash) sometime as your sabzeh. they make a beautiful display. happy new year to all! eideh shoma mobarak! Can I do the same process you posted with lentils? I love your blog and although I am an American mix of Danish, German and Irish, I am Persian at heart! One question though: Is the sprout growing done for decorative purposes or do you use them for culinary purposes too? Anne, thank you for your kind words. The sprouts are simply grown for decorative purposes. Parisa, yes you can. You can also follow the instructions on my Lentil Sabzeh post as well! Thank you so much for your step-by-step guide (and for all the amazing recipes). I have been soaking my wheat for about 48 hours and am planning on draining it for the next stage tomorrow. However, when I replaced the water today, there was a white foam on top, and it had a yeasty odour. Is this normal? Lauren, that has happened to me as well. Make sure you rinse them well before the next stage. Sometimes it helps changing the water every day.